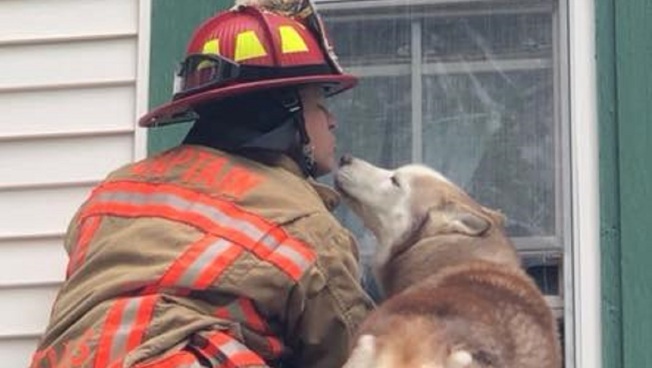 A dog stranded on a roof in Maine was pawsitively grateful to the firefighter who rescued him, showing his appreciation by giving the first responder thank you kisses. Officer Steve McDonald captured the sweet moment in a now-viral photo. "Thank you kisses to Captain Nawfel! It's pawsatively love! Is there anything more stunning than an animal expressing gratitude?!" Wells police wrote on Facebook.